Phycocyanin is a pigment-protein complex from the light-harvesting phycobiliprotein family, along with allophycocyanin and phycoerythrin. It is an accessory pigment to chlorophyll. All phycobiliproteins are water-soluble, so they cannot exist within the membrane like carotenoids can. It is extracted Spirulina platensis. In order to cater to the numerous necessities of the patrons, we have been able to provide a wide range of Phycocyanin Pigment. We are engaged in providing superior quality Phycocyanin Pigment to our most reliable clients. It is a pigment protein complex from the light-harvesting phycobiliprotein family, along with allophycocyanin and phycoerythrin. This is an accessory pigment to chlorophyll. Our range is available in various configurations, sizes and specifications as per the clients requirements. - Phycocyanin is a blue colored pigment that belongs to the class of Phycobilli proteins found in Blue-Green algae. - Parry's Phycocyanin is extracted from Parry's Organic Spirulina. Seminal Applied Sciences Pvt Ltd.
We are the leading supplier of Phycocyanin Pigment. 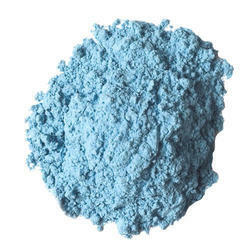 Parry SuperBlu is the blue color pigment Phycocyanin extracted from Parry Organic Spirulina. It is the only natural blue color in the world. Under Approval as Food Color (Phycocyanin is the major pigment present in Spirulina, Spirulina is widely consumed as a supplement). The product is suspended in 150 mM potassium phosphate, 60% PEG, 1 mM EDTA, 1 mM sodium azide, pH 7.0 and must be dialyzed against conjugation buffer or PBS before conjugation. It is a blue accessory pigment attached to photosynthesis membranes and accounts for upto 20% of proteins in cyanobacteria. It is composed of two equal number of α and β subunits. Its molecular weight is around 232 K Dalton. Phycocyanin is extracted by our own process. The crude extract purity is maintained at A620/A280= >1-3. 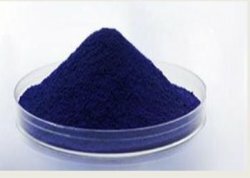 The crude phycocyanin is sold as food, Cosmetic and regent grade. However we have the capability to provide grade All grades of phycocyanin are freeze dried.